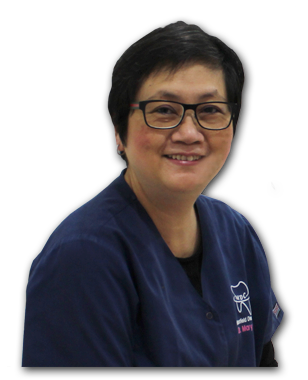 Dr Mary Choo, Dr Andrew Ip and their team have been serving their patients for over two decades with their trademark patience, understanding and experience. Our passion for oral health and improving each and every one of our patient’s teeth has kept us going for all this time and will continue to keep us going for many years to come! Have your general dental needs handled with care and expertise at Marsfield Dental Care. We are Bupa, Medibank Private, NIB and CBHS network providers. Our conveniently located practice next to Woolworths and near Macquarie University train station caters for all people, whether you are a local resident or driving here by car! Many of our staff were raised and grew up in the area so we know what general dental needs our patients require. Book an appointment now and let us take care of your family’s oral health. At Marsfield Dental Care, we realise that every individual has different needs and priorities. As a result we tailor your treatment to suit you and we’ll deal with you honestly and respectfully. We will give you frank professional advice so you can make well-informed decisions. We believe that everyone deserves high quality dental treatment regardless of age, gender or background. One of the secrets of success for our long-standing dental surgery is that we never cater for a specific group of people or age group. 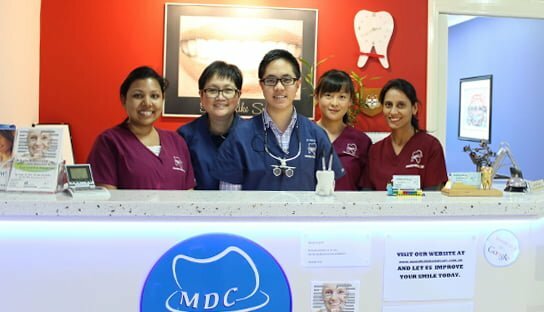 We invite patients from all over and of all ages to our friendly neighbourhood to experience excellent dental treatment. It doesn’t matter who you are or where you come from, we will provide you genuine care and professional service. We believe that going to the dentist doesn’t have to be a negative experience. We know the sounds, feelings and waiting can take a toll on everyone’s spirits. At Marsfield Dental Care we try our best to make you feel comfortable from the moment you enter, to the time you leave. Come have a chat with our friendly staff and whilst you’re in the chair during treatment. Why not enjoy our ceiling-mounted TV! The most rewarding experience I have had during my career as a dentist is to see the positive change in a patient’s face: from an expression of anxiety to a smile bright and full of confidence after treatment. Even after many years in general practice, it still brings me great joy to see my patients’ satisfaction and it’s fantastic to see their oral health improve after every appointment. At Marsfield Dental Care, we strongly believe in and promote tooth conservation in all age groups and we’ve always tried to provide alternative treatment planning to suit individual dental needs and priorities. Come visit our friendly family practice and have your oral health handled with care and honesty.